In this two part blog series, we examine why it is that many qualified therapists decide to “go mobile” with their massage services. In Part I, we weigh up the pros and cons of this type of massage business, while in Part II: Essential info for starting up, we provide advice on getting the show on the road, once you have decided that mobile massage is for you! Nothing takes the joy out of a new business faster than overheads. Faced with a file full of invoices, many a new business owner has sat down, scratched her head and wondered just where she went wrong! With steep prices for office rentals and associated costs, along with a desire for more flexibility, a mobile massage business may seem like just the solution. But before you throw away that new lease agreement, let’s look at the pros and cons of a mobile massage business to see if it’s right for you. Having a mobile massage clinic may give you a considerable financial saving. With an office, you must budget for rent, outgoings, electricity, telephone landline, and street signage. You will also be locked into a contract – usually (but not always) for 12 months, three or five years, with an option to extend. With a mobile clinic, you’ll still need to spend some cash. To operate a mobile service, you will need to access a decent vehicle. You can either purchase or lease a vehicle: there are advantages and disadvantages with either choice, depending on your financial situation, so it’s best to discuss this with your accountant. Comparatively though, regardless of your choice, the expense will be less than what you would expect to pay for a conventional rental property and its associated outgoings. Don’t forget to factor in the price of parking and petrol, though! Another handy benefit of a mobile business is that, providing you own the vehicle; you can cover it with signage, which is a great way of advertising to your local market. With an office, you may get tired of having to work from the same place day in, day out, whereas with a mobile business you’re always out and about going to new places. With massage becoming increasingly popular and more competitive, having a service that is more convenient for the customer, i.e. coming to them, is a good marketing proposition, arguably winning more clients for you. Many mobile massage therapists report that home and office appointment clients tend to cancel less frequently than those who visit you at a set location. You may find yourself becoming increasingly annoyed at the traffic and less enamoured about spending ‘time on the road’. Petrol costs can also add up. You can get around this problem as you get more established however, by choosing clients closer to your home address. This will make travel less of an issue and less expensive. A mobile massage business puts considerable strain on the body. You’ll have to drive a lot and also carry your massage table from vehicle to houses or office buildings and back again. Make sure that you are physically strong enough to cope with the demands. When clients are on their own turf they can tend to be a little more casual and less polite. For example, they may make you wait, take phone calls or let the dog jump all over you. To counteract this you need to set clear boundaries and set rules about time limits, as well as factor in the pricing your extra time, travel costs and the physical efforts of bringing your services to your customers. Being mobile means having everything that you need with you as you travel from booking to booking. You can’t afford to forget oils, fresh towels or any other piece of equipment. Also, you will have to factor in travel time and make sure you are always on time for your appointments. Want to get started with your own mobile massage business? 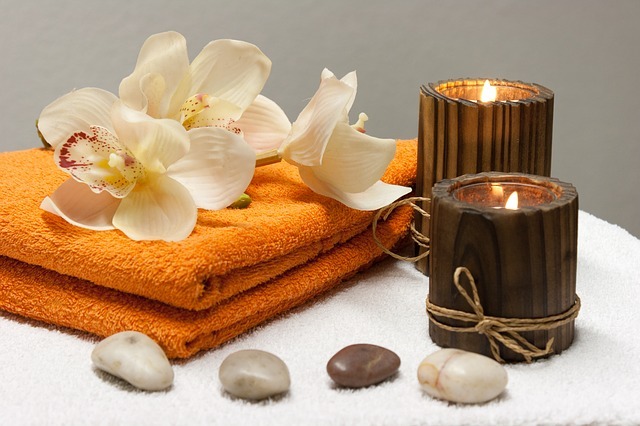 Read Starting your mobile massage business, Part II: Essential info for starting up.